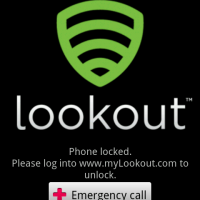 Lookout’s blog has announced that there has been a new Trojan found that affects Android handsets. It seems that it started out by being placed inside what looked like legitimate Android apps in China, but the permissions were far outside of what would have been needed. The information was then sent to a remote server where everything could be controlled from the phone. While Geinimi can remotely initiate an app to be downloaded or un-installed on a phone, a user still needs to confirm the installation or un-installation. Just a friendly reminder that when downloading non-market apps, you always run this risk, so be sure you know what you’re getting yourself into, and check those permissions!